But you have a dilemma. But instead of growing, you find yourself groaning every time you take a look at your list numbers and stats. As online entrepreneurs we all start with NOTHING! No subscribers. No followers. No community. No authority. But staying at or near “NOTHING” for months, or even years can be heart-wrenching, especially when it feels like “you’re doing everything right” and NOTHING seems to be working. Then I have something for you! 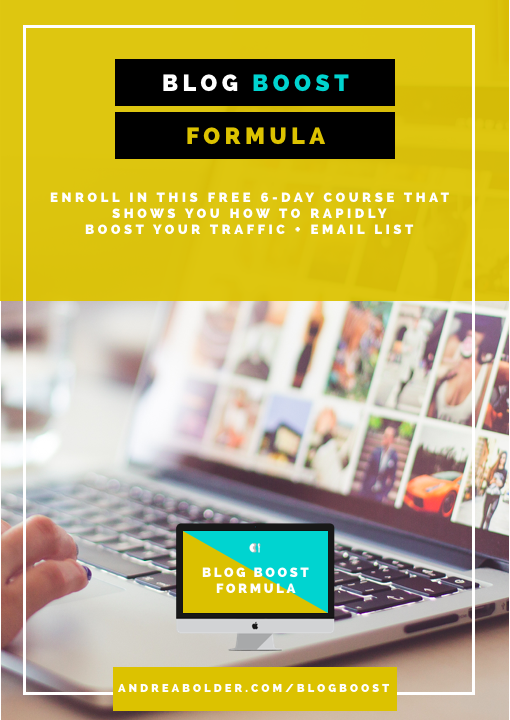 So to help you get that blog of yours on the right track, I created a 6-day course called Blog Boost Formula, which shows you my step-by-step formula for growing your traffic and email list…stat. And the best part…it’s totally free! This course isn’t some ‘ole rinky-dink course. It’s 6-days of full-blown blog magic that includes videos, action sheets, and oodles of step-by-step strategy to finally get that blog of yours jumpin’. I’m beyond excited and have already gotten crazy feedback on the amount of value that the Blog Boost Formula e-course gives. I know without a shadow of a doubt that if you spend 15-30 minutes with me each day inside of this course over the next 6 days, it is going to be an absolute game-changer for you! 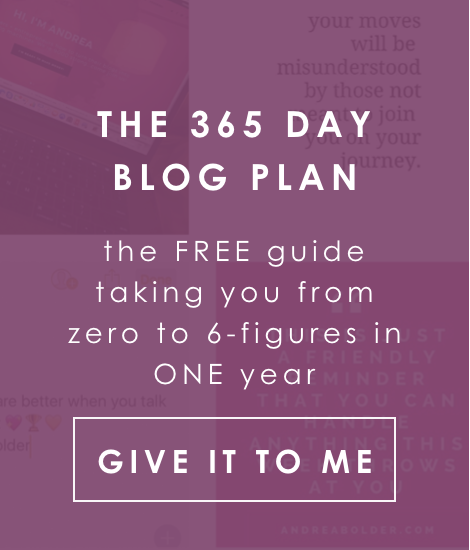 It’s time to stop grinding so you can start growing that blog of yours. And watch your email list, traffic and engagement explode! Want to share the love with your peeps? You can share this free e-course on Twitter by clicking here. Tweett! Tweet! (in my OPRAH voice!) You know you’re awesome right?! Enjoy the course, m’ friend! GOT QUESTIONS? WELL LET’S CHAT DOWN BELOW! Thanks, I’ll try and check back more frequently. How frequently you update your website? Espero poder dar algo de volta e ajuda outros como você auxiliado me. I’m excited. Have signed up! Awesome! Let me know how you like it!! Sounds great. Thanks for sharing. All signed up. Signed up! This is great! So excited! Whoot whoot! Dive in and if you have any questions don’t be afraid to reach out! I am in dire need of info like this! Thanks so much! Signed up! Yeah!! I think you’ll really get some great actionable advice you can implement right now to see immediate results. Let me know if you have any questions! 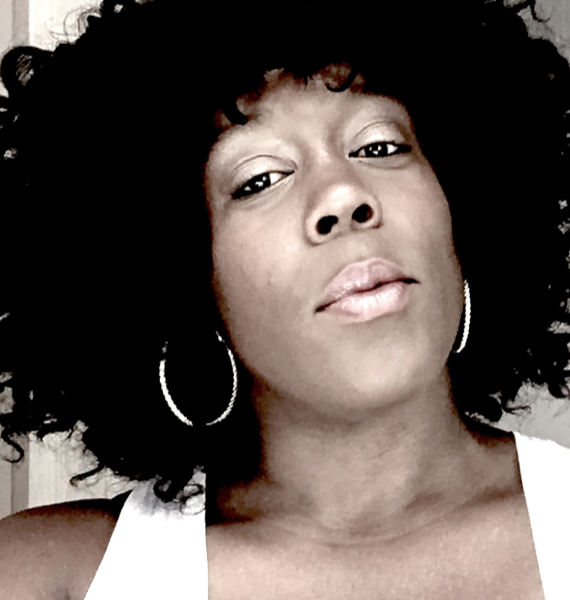 I was talking to a fellow blogger today about the struggle I’m having with growing my email list. I just signed up for your course. Thank you!! Yeah growing your list can seem like an impossible task, but hopefully with the strategies you learn in the e-course you can start seeing some results. Let me know if you have any questions! Signed up! This sounds amazing!